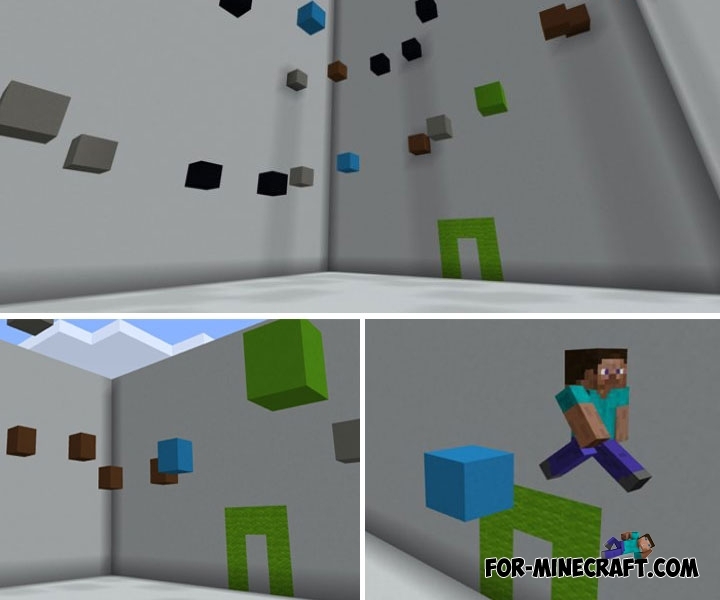 Speaking about today, parkour maps for Minecraft PE are the most common of all genres, because players have to concentrate and deftly use the control buttons, think through each jump and calculate the landing point. This is not present in other maps, so many users like this mode very much. Parkour Challenge is designed to test your parkour skills on a small map. There are 10 levels where you need to make an effort for quick completion. Weighty blocks are the main obstacle on the way to the finish, but you have several assistants. There are special blocks that give different effects. For example, blue cement increases speed and you can jump much further. Use them in difficult situations.